Family owned and operated for three generations, Bill Howe Plumbing, Heating & Air, Restoration & Flood has been serving the plumbing and heating & air conditioning needs of the San Diego area since 1980. 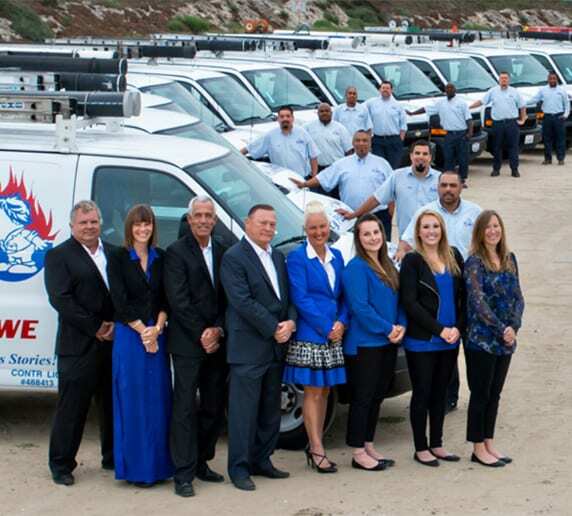 With one of the largest fleets in San Diego, Bill Howe has the ability to service all major and minor plumbing and hvac services 24 hours a day, 7 days a week. Bill Howe is committed to the highest level of customer excellence through its services and customer experience. Offering fast and quick service and scheduling over the phone, online, and live chat, Bill Howe is ready to service San Diego area residential and commercial services. We offer residential and commercial services 24/7 and will only send our highly trained and qualified restoration specialists, heating and air techs and plumbers. San Diego has been our home since 1980! 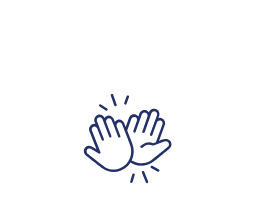 We look forward to serving the community for years to come. Leak detection, whether in the slab foundation or inside of the home, Bill Howe professional San Diego plumbers have experience with finding and stopping water leaks quickly. Bill Howe is the expert in Water heaters for commercial and residential properties, traditional tank and tankless style water heating. Bill Howe repairs, services, and installs water heaters and can offer help with most brands. Gas line work and repair can be dangerous, but with Bill Howe, homeowners know that with years of experience, repairs are made to Uniform Plumbing Code safely and quickly. Clogged drains can be frustrating, but can also lead to water damage. Bill Howe has some of the best plumbers that can clear even the worst clog and offer permanent repair with epoxy relining services. Leaky toilets, faucets, and shower fixtures are no match for Bill Howe. With a fully stocked warehouse and experience with all major fixture brands, Bill Howe can help homeowners with major and minor repairs 24/7. Training Bill Howe Plumbing offers extensive training to all of its plumbers so customers can expect a knowledgeable and qualified technician to take care of their plumbing issues right the first time. Bill Howe also sends plumbers through the four-year plumbing journeyman program. Bill Howe employs more than 40 certified journeyman plumbers, with more than 20 apprentices in the program. Plumber receives on the job training, in-class education, safety training, as well as advanced certification in gas, drains, and water heaters. Maintenance is one of the most important aspects of homeowners heating & air conditioning system. Bill Howe Heating & Air has extensive maintenance programs to ensure HVAC equipment is working at its optimal level. With Energy Savings Agreements, customers will be notified when it is time to perform annual maintenance and can save money on repairs. Bill Howe Heating & Air Conditioning technicians have experience in all major brands and manufacturers, types of systems including heat pumps, traditional split systems, and ductless mini splits to assist with any homeowners needs and home. Bill Howe Heating & Air is also commented to helping homeowners save money and energy, offering solutions to keep their homes as energy efficient as possible including insulation. As a Hero registered contractor, Bill Howe Heating & Air can also help customers with financing through the HERO program or traditional financing systems. Many plumbing and air conditioning systems can be the cause of water damage in the home. Bill Howe Restoration & Flood was created to help customers avoid costly and lengthy repairs by having a fully certified and trained water damage team available. Bill Howe restoration and flood can mitigate water damage, perform dry out and pack out services, and even restore the home to pre-loss conditions all while working with the homeowner’s home insurance company. Additionally, Bill Howe Restoration & Flood have a full remodel team for bathrooms and kitchens, experienced flooring and painting specialists. Providing the highest quality services at the most affordable prices. Bill Howe Plumbing, Heating & Air began as a San Diego plumbing company specializing in AM/PM Sewer & Drains offering expert services for residential and commercial clogged drains. In 1980, AM/PM Sewer & Drains officially became Bill Howe Plumbing, Inc. adding core plumbing services for leak detection, repair and installation of water heaters, gas leaks, faucets, water filtration, and drain cleaning. No job was too big or too small, and the same quality services are still being offered. In 2007, Bill Howe opened Bill Howe Heating & Air to better serve their customer base in home repair and installation services, and Bill Howe Restoration & Flood in 2009 to deliver the same high quality of water damage and remediation services. Bill Howe adheres to the highest industry standards and quality across all divisions of plumbing, heating & air conditioning, and restoration & flood services. Bill Howe has been chosen by the San Diego community as the best plumber, best heating & air company, and best contractor multiple times, has been named as Contractor of the Year in 2013, and holds the title of Gold Medal Plumber in the coastal communities where the company got its start. Bill Howe Plumbing, Heating & Air is a full-service plumbing and HVAC company. Whether customers need a simple drain unclogged or a commercial grade boiler installed, Bill Howe Plumbing has experience technicians available and a fully stocked warehouse to complete every job. Bill Howe Heating & Air conditioning company offers maintenance, repair, and new installation on all heating & air conditioning equipment from central forced air systems to ductless mini split and home insulation. Bill Howe Plumbing offers extensive training to all of its plumbers so customers can expect a knowledgeable and qualified technician to take care of their plumbing issues right the first time. Bill Howe also sends plumbers through the four-year plumbing journeyman program. Bill Howe employs more than 40 certified journeyman plumbers, with more than 20 apprentices in the program. Plumber receive on the job training, in class education, safety training, as well as advanced certification in gas, drains, and water heaters. Bill Howe offers convenience to customers with one phone call. Most homeowners and businesses need multiple services, and Bill Howe can assist with plumbing, heating & air conditioning, flood and water damage all with one phone call. Plus, Bill Howe offers convenient online scheduling and 24/7 customer service. Customers can also contact Bill Howe via live chat, email, and social media to get answers to frequently asked questions. Bill Howe offers transparent and fair pricing on every service. With most services, Bill Howe plumbers, HVAC specialists, and water damage remediation teams, can provide free estimates. There is never a service or rip charge to customers and work is only performed with authorization form the home or business owner, or representative. Many services through Bill Howe can also be quoted over the phone to help customers budget prior to the arrival of a service technician. At the end of the day, our customer’s happiness is our highest goal. Bill Howe provides extensive warranties for every service we offer. Whether it is a clogged drain, new water heater installation, heating & air Maintenance, or water damage remediation, we stand behind our work. Our specialists will go over the warranty for each service with you, our valued customer before they begin work. While we do have standard warranties, every service is unique and we want to ensure you know our guarantee upfront. We will also send you a copy at the completion of your hob, in writing. If you are unhappy for any reason, Bill Howe will make it right. Even though many of our warranties have a specific time period on our labor and parts, if you feel we have not exceeded your expectations outside of your warranty period, we will work with you to find a happy resolution. We can be reached by phone, email, love chat or in person for all of our customers questions, comments, and concerns. Contact us today.